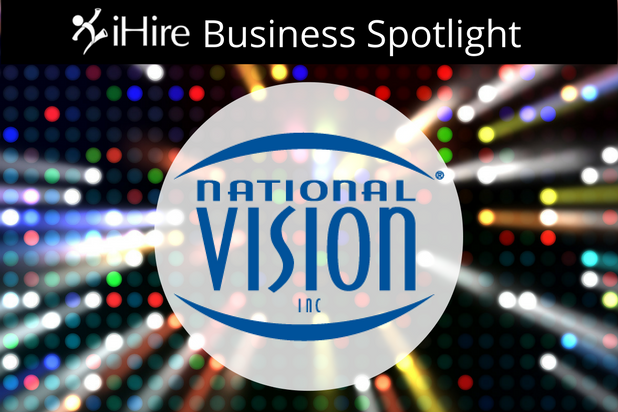 Business Spotlight – National Vision, Inc.
We are excited to shine the spotlight on National Vision, Inc.! National Vision is one of the largest optical retailers in the United States with more than 940 stores in 44 states plus the District of Columbia and Puerto Rico. As one of the top employers of optometrists in the industry, doctors are the heart of National Vision’s business. With a mission of helping people by making quality eye care and eyewear more affordable and accessible, the company operates multiple retail divisions: America’s Best Contacts & Eyeglasses, Eyeglass World, Vision Centers inside select Walmart stores, and Vista Opticals inside Fred Meyer and on select military bases, all offering a variety of products and services for patients’ eye care and vision health needs. We caught up with Mauricio Wissinger, VP of Professional Services – Doctor Recruitment, to learn more about what makes National Vision a great company to work for and get his advice on overcoming hiring challenges. Question: What makes National Vision’s company culture unique? Why is National Vision a special place to work for? MW: We pride ourselves on being one of the largest employers of optometrists in the industry, which enables us to see more patients who otherwise might not get the care they need. We are a doctor-centric organization and support our doctors by letting them do what they do best – and that’s being a doctor. At National Vision, we take care of all business, financial and staff management needs. Question: What are the responsibilities of a VP of Professional Services at National Vision? MW: It is my responsibility to ensure that each of our offices is properly staffed by the highest quality of optometrists. I oversee our team of recruiters responsible for hiring optometrists for more than 940 offices nationwide. MW: Our biggest challenge is a great challenge to have – as one of the fastest growing optical retailers in the industry, we need more and more doctors to join our team each year. — Mauricio Wissinger, VP of Professional Services – Doctor Recruitment at National Vision, Inc.
MW: Be open-minded and try any vehicle that gets you more exposure, and gets you in front of more candidates. The more candidates you get in front of, whether or not they are active or passive, the more opportunities you have to make the right hire. Interested in seeing your business under the spotlight? Contact an account manager today at (877) 798‑4854 to discuss getting your jobs in front of an audience of highly qualified, engaged talent that you can’t reach anywhere else.